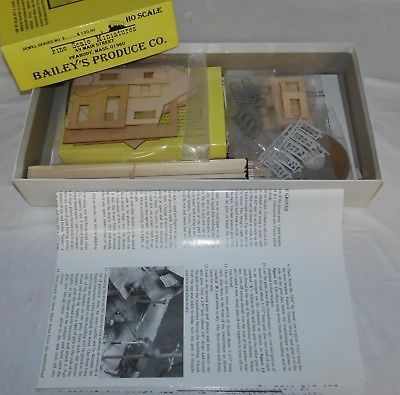 I am looking for footprint or drawings of Fine Scale Miniatures “Baileys Produce“. I would like to scratch it in O scale. Copyright is your enemy here. Find pictures of the complete structure, resize to your scale and use as plans. I had a similar problem, I built Red Hook from Foss in another way. I went to search on the WWW and looked for people who had built it. Lot of people use a cutting-matt, these have squares. With that info. you can get a lot of sizes from a picture. Lot of people use a cutting-mat, these have squares. 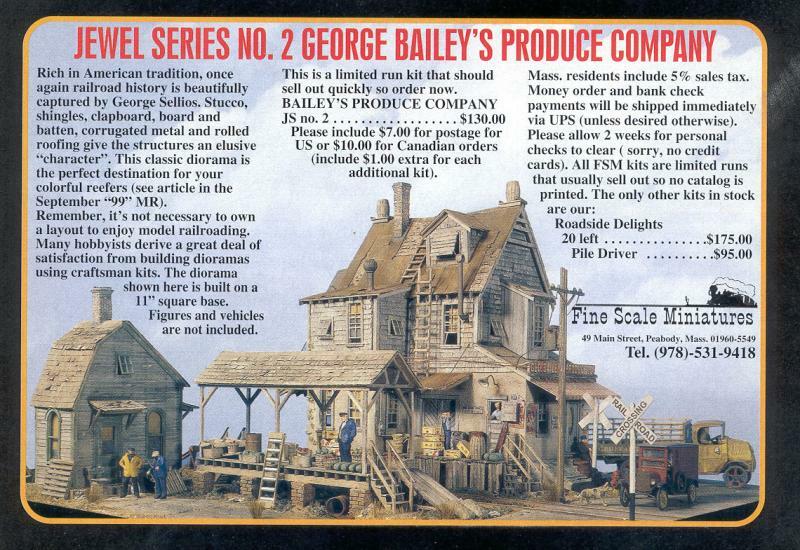 Baileys Produce is a nice lookin' building for sure ! 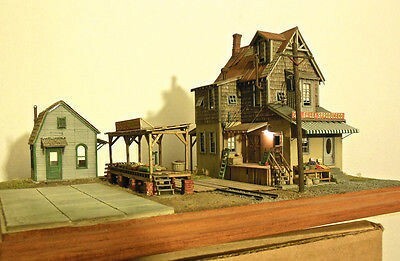 I found a few photos on Google Images, in both O & HO scale, which was pretty easy. Not exactly architect quality plans though ! 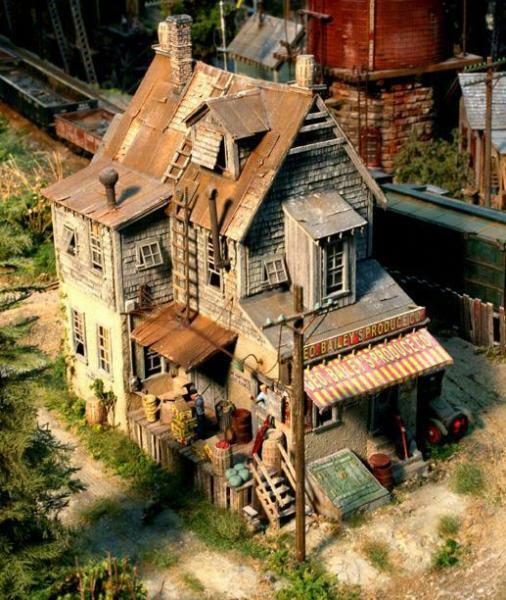 This one ^^ was for sale awhile back on the Net. 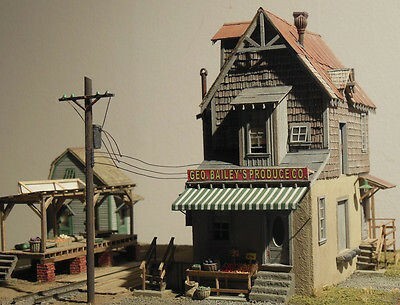 The 11" square-base mentioned ^^ above, I guess is the O-scale footprint. 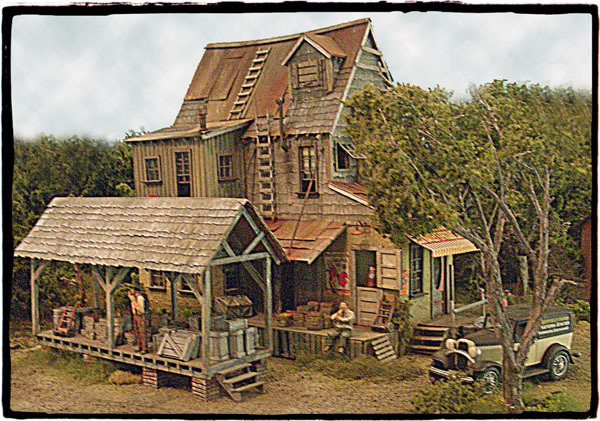 I believe Fine Scale Miniatures has gone through a number of re-brandings over the years. 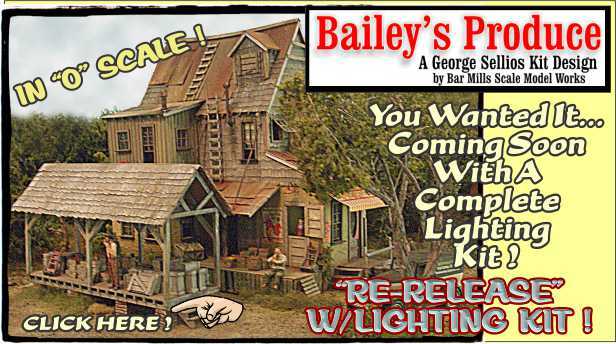 It seems that Bar Mills offered a version of Baileys Produce most recently ... ? Don't quote me though, I'm not really a follower of the American craftsman kit scene & news. 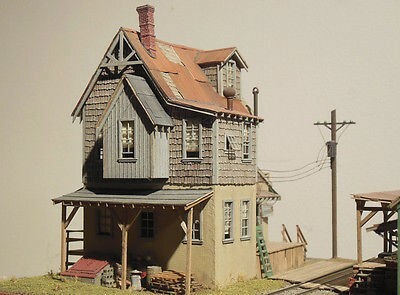 And bellow, a really super nice build photo of a completed kit, found again on Google Images. You never know Howard, someone might just have some old kit instructions they could share. O boy! Thanks so much for the pics! Using scale windows/doors and my trusty old multi scale rule will do the trick. 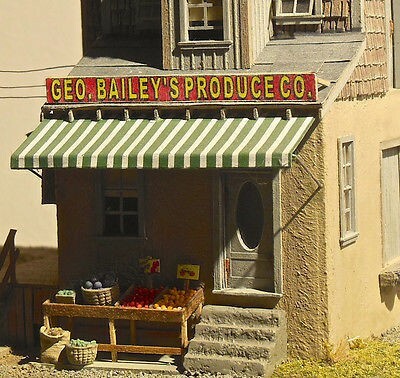 Nice to see another 'Baileys Produce' fan having fun with a scratch built version in Cors ^^ link. A couple more photos I found. I was looking for some plans, shame we can't unfold those very detailed looking instructions. I've peered at Net-photos like this before & actually got some good info. from them though. 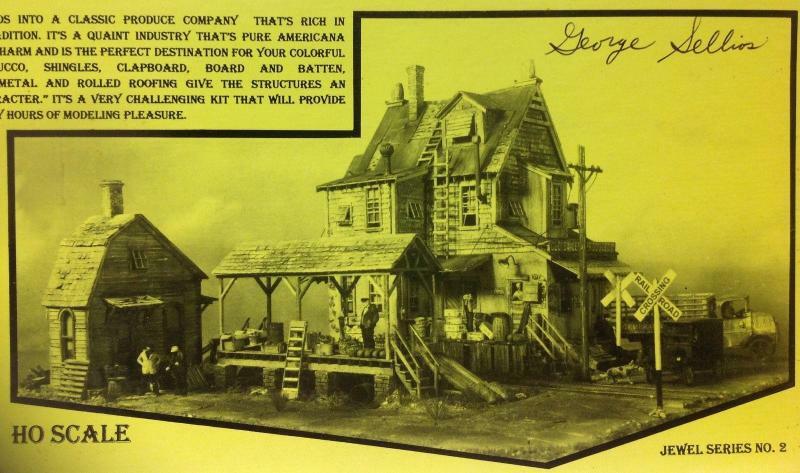 The kit-contents of a 'Grand Central Gold Mine' helped me to draw some plans of my own. 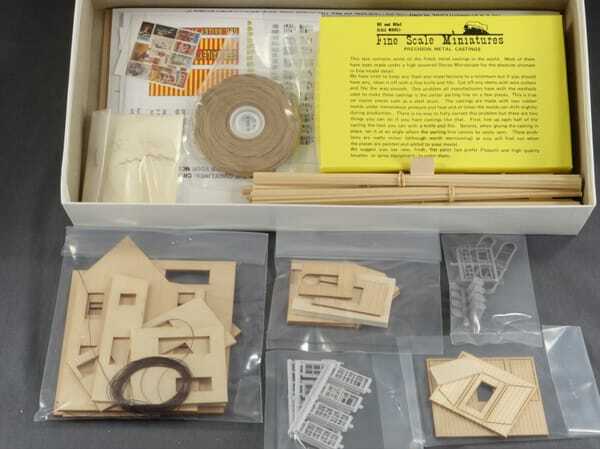 Were Fine Scale Miniatures known for providing well documented instructions ? 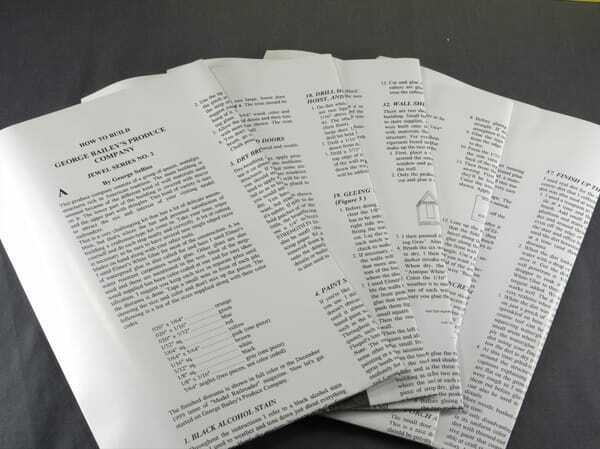 ... but the often heard complaint about some kits, is the documentation. It's a pretty 'quirky' structure, which I guess is why it really captures ones attention.